Your little one may be a wiggle worm now, but before you know it, they'll be transformed into a "big kid" before your very eyes. Hey...that sounds like another creature we know, the caterpillar. Now, all that change may just leave you speechless. As for the baby, well, their speech is really more of a babble still, anyway! Before your baby blooms, then, you may as well soak up every moment of their sweet, wriggly babyhood! 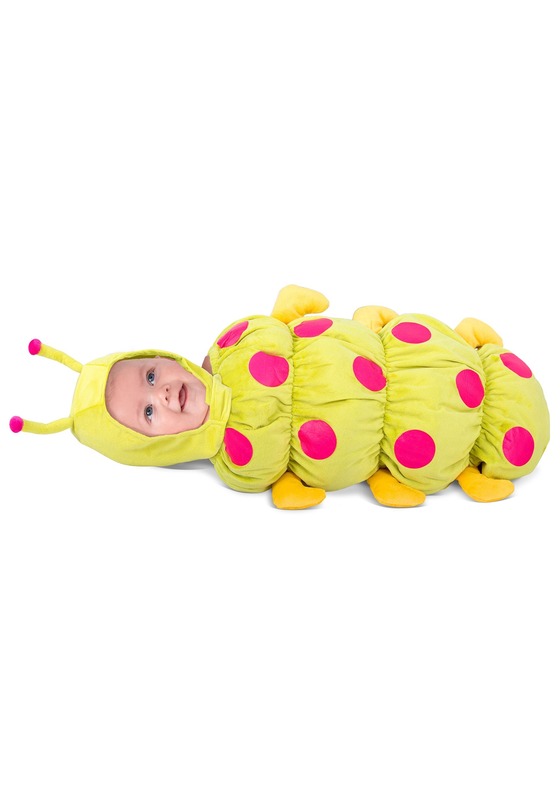 This cuddly Infant Caterpillar Costume will keep your kiddo cozy as can be, while also helping them look like the sweetest little caterpillar on the planet. It's warm enough for even the most blustery of October trick-or-treat sessions, and it's cute enough to get your baby a LOT of candy. And since they can't really eat the candy, yet, well...then there's no harm in your enjoying it. Hey, you've earned it! Parenthood has been a transformation for you, too! This is one caterpillar who's almost as bright and colorful as its butterfly counterpart. The lime base of this puffy, swaddled bodysuit boasts bright pink polka-dots, along with a matching headpiece with antennas. Little "legs" come off both sides, and overall, the effect is snug as a bug in a rug! 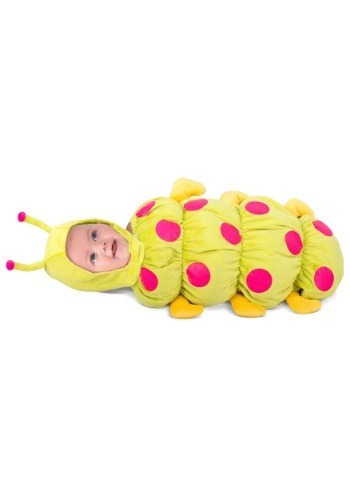 Dress your older child as a butterfly for a cute family theme, or just let your little caterpillar fly solo. Don't be surprised if your sweet little one spends most of Halloween snoozing—we'd do the same if we were being carried around in this warm costume sack. Of course, they don't really know what they're missing yet. Enjoy this kind of peaceful Halloween scene while you can...in no time at all you'll be longing for the moments they were quietly cocooned in your arms! 0/3 Months Length 19" 19"